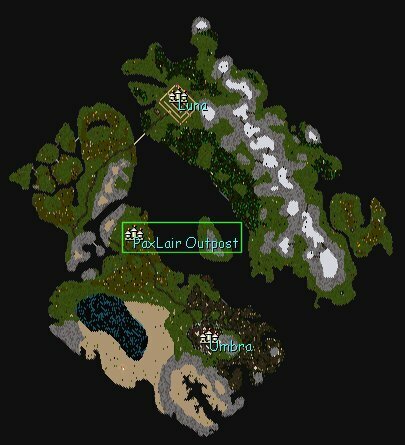 PaxLair was established on January 19, 1998 in Felucca by guildmembers of The Band and built up by guilds like Sillyhood, the Olag Hai Orcs, and many individuals. For years it was a primary place of activity, events, and quests drawing interest by hundreds of people including seers, counselors, and at times the gods. Even Lord British [confirmed to be Richard Garriott] visited PaxLair. When the new facet of Trammel was created, many people migrated to those safer lands. PaxLair remained somewhat active for those who sought to defend and attack areas in and around PaxLair. In August 2004, Dragons Watch-Felucca was placed under the leadership of PaxLair. When the fabled Islands of Tokuno opened up for travel and placement of houses on Nov 3, 2004 , people of PaxLair ventured forth to Homare-jima where they placed several buildings. PaxLair City, Felucca - "Peace Place" - Original PaxLair with Twin Towers, arena, Spring of Courage, plenty of combat opportunities, and much more! Dragons Watch, Felucca - The great Town of the Army of The Dragon (ATD) with oceanside access to launch your Armada! 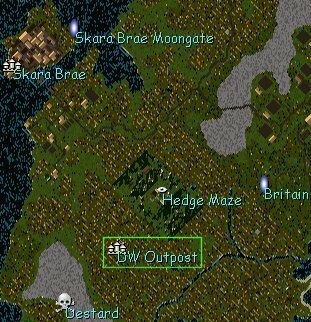 DW Outpost, Trammel - An Outpost on Trammel established by ATD with moutainside access! PaxLair Outpost, Malas - The great PaxLair Auditorium resides amidst many orcish dwellings and cemetaries. Beware of the Orcs! PaxOku, Tokuno - "The Place that PaxLair Founded" - The growing PaxLair City on the fabled island of Homare-jima! 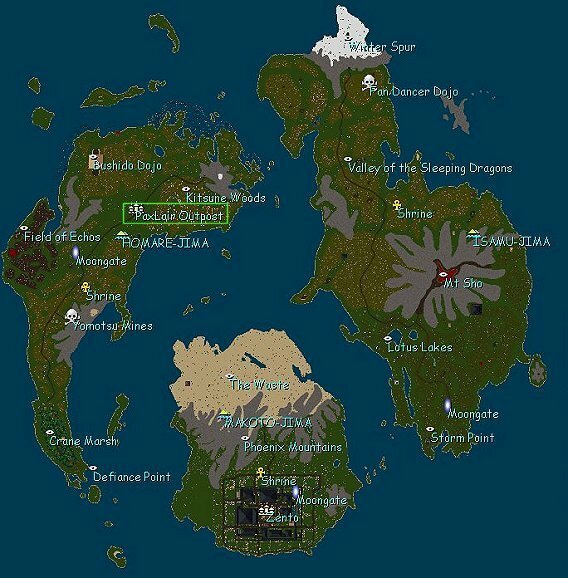 Each place is unique in what it brings to PaxLair and the Realm. Visit all the PaxLair locations and enjoy meeting others. 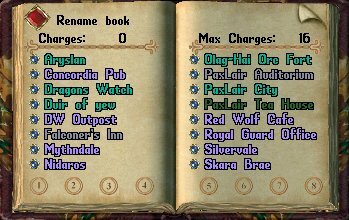 Look for Rune Books at each PaxLair location and in other player towns around the Shard.